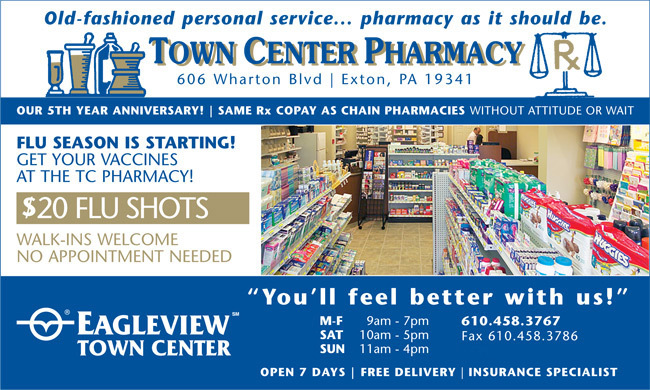 Town Center Pharmacy is a family owned and operated pharmacy located in the beautiful Hankin development of Eagleview Corporate Center. We provide you with prescriptions at the same co-pay as other pharmacists. We also give you individual attention & excellent service you can't get at a big chain store. The relationship you have with your pharmacist is important. That's why we make it our priority to provide the very best in professional service to all our patients.